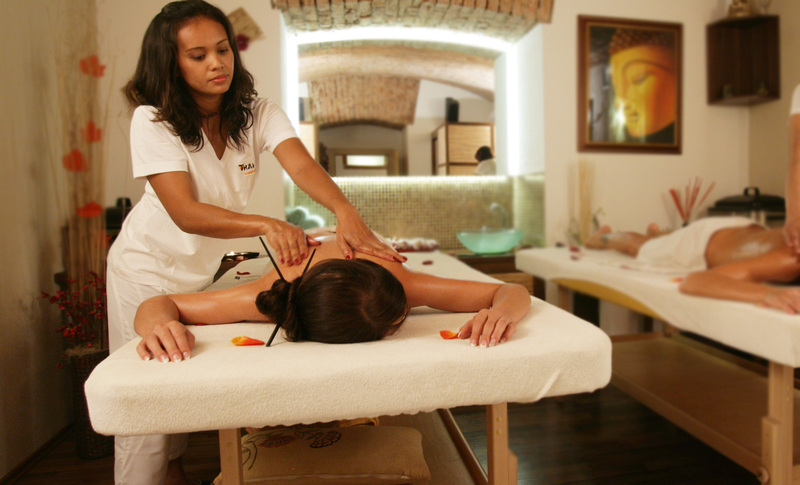 Traditional Thai massage, called the word "nuad" has a long tradition of treatment. The theoretical basis of Thai massage is the science of invisible energy lines (sen), which pass through the human body. Thai massage chose the line on which is important acupressure points, and human interactions are based on energy points and energy flow in the body. Thai massage opracováváním these lines releasing blockages, promotes unimpeded flow of energy and contributes to good health. This theory is based on the philosophy of yoga is the foundation of Chinese acupuncture and acupressure, and this system has evolved and Japanese shiatsu. Come to personally experience a wonderful feeling of lightness and relaxation, which induces a Thai massage. Traditional Thai massage with a pleasant environment you study Thai Fit relieve stress, take away the soul of peace and a smile.